MegaSlider is responsive slider module with touch-swipe navigation. You can add text, image or video to your slider. 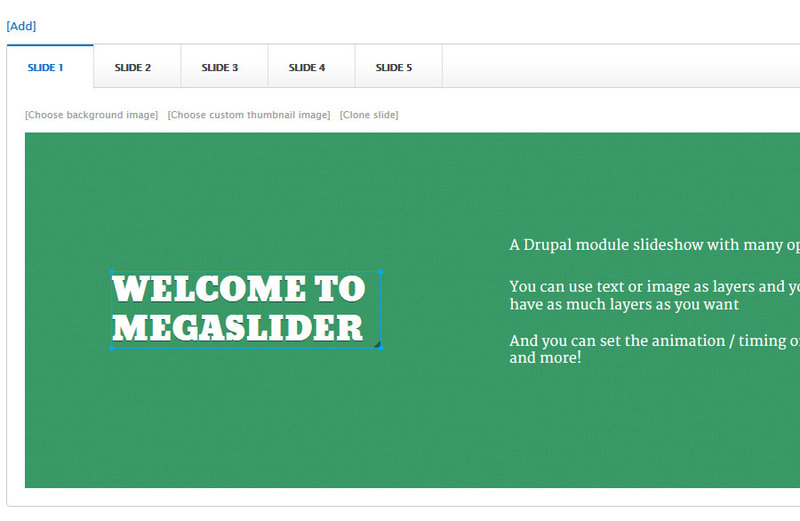 With a friendly admin user interface and power timeline manager, MegaSlider is highly customizable slider for Drupal 7. Demo item animation and slide transition. Set custom effects, start time, stop time and delay for each object via timeline manager. Update for Drupal 8: user do not have to clear cache after create slider to view block. Please run update.php after update.